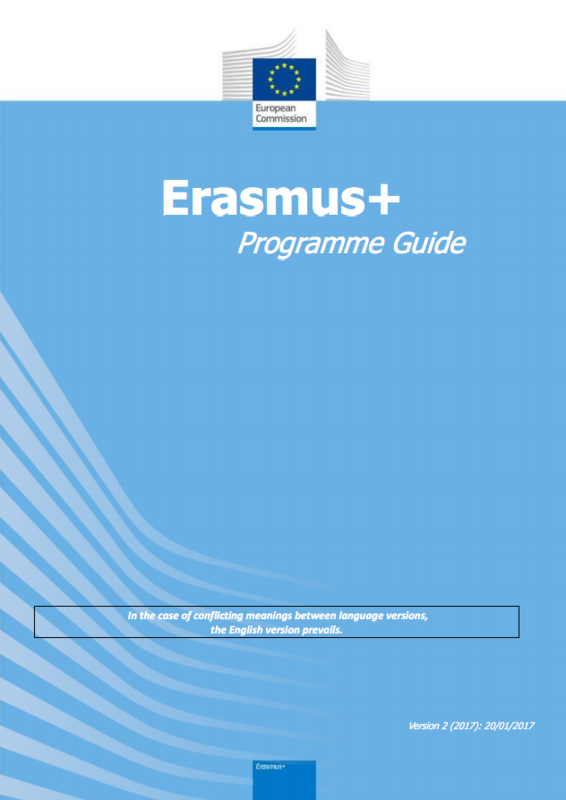 Erasmus+ is the EU's programme to support education, training, youth and sport in Europe. Its budget of €14.7 billion will provide opportunities for over 4 million Europeans to study, train, gain experience, and volunteer abroad. We are celebrating the 30th anniversary of the Erasmus Programme in 2017. What started in 1987 as voluntary cooperation between 11 countries has developed into a unique programme recognised as one of the best achievements of Europe. Under Erasmus+, it is now possible for students, staff and young people from all over the world to come to Europe, just as Europeans can go to other parts of the world. 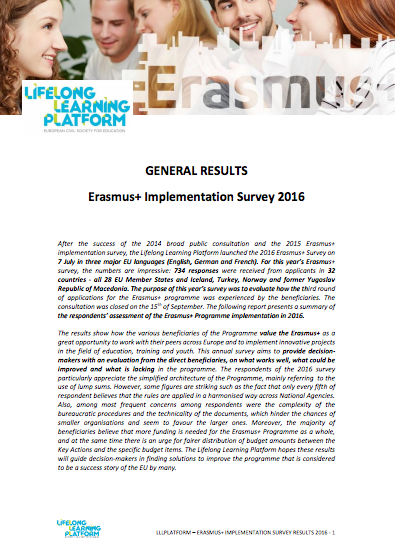 The Erasmus+ Programme is the subject of a mid-term review, set to be completed in 2017, and an impact study, set to be published following the completion of the programme in 2020. The outcomes will serve as a basis to the negotiations regarding the future EU programme(s) for education, training and youth for the period 2021-2028. Eurodesk, the European Youth Forum and the Lifelong Learning Platform have launched a joint campaign calling for a 10 times budget increase of the Erasmus+ programme in the context of the Multiannual Financial Framework negotiations for 2021-2028. This campaign is supported by more than 40 European organisations. The Erasmus+ Coalition gathers over 40 European-wide networks and civil society organisations representing the major beneficiaries of Erasmus+ programme at all levels. The campaign is led by the Lifelong Learning Platform, the European Youth Forum and Eurodesk. During the Summit marking the 60th anniversary of the Rome Treaty, political leaders mentioned Erasmus as the EU’s biggest achievement in changing the lives of 9 million Europeans. However, this achievement has touched only a very limited section of the EU’s population. 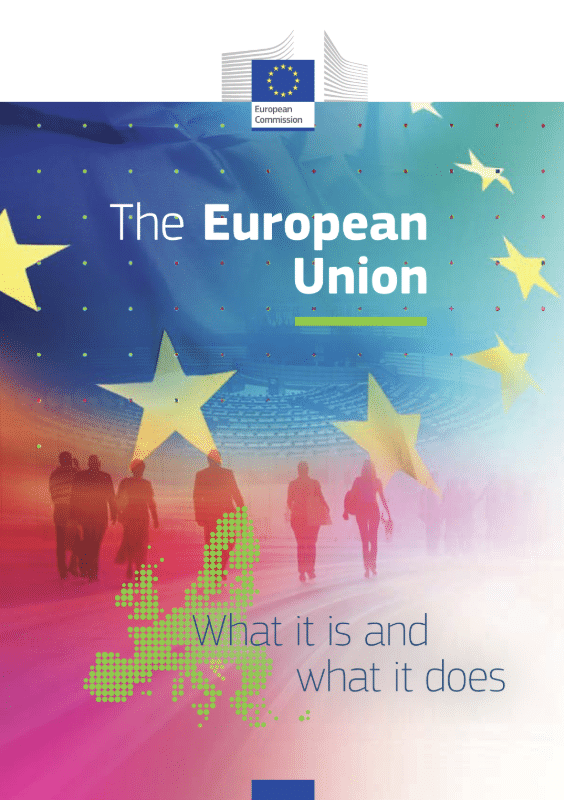 Only 4 million people (around 0.8% of EU citizens) are expected to benefit from it in the 2014-2020 period. Indeed, the funding for the programme amounts to only 1,4% of the overall EU budget for this period. Is this really enough for the EU’s most successful programme? The Erasmusx10 Campaign has been launched in order to call for a more ambitious programme by increasing Erasmus+ budget by ten times as negotiations begin for the next generation of EU programmes post-2020. 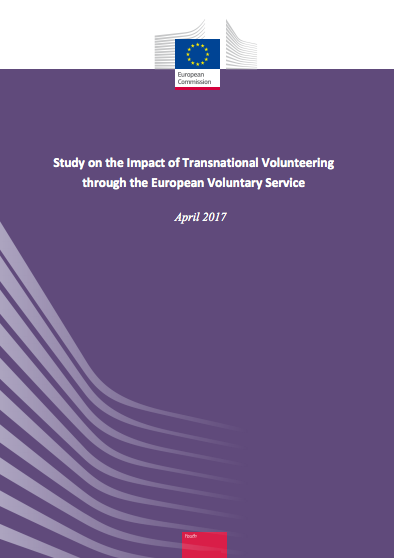 This claim has been echoed by several political leaders including the President of the European Commission who, when speaking about the programme’s number of participants reaching 9 million people, called for us to be ‘at least nine times as ambitious’. A x10 increase would send a strong political message to EU citizens by putting at the fore the need to build stronger ties between them and to foster a common European identity. It would also allow more individuals to benefit from a mobility experience, therefore improving their life prospects with higher employability chances and stronger political participation. Finally, it would contribute to modernise our education systems. Eurodesk invites you to share the campaign and to sign the petition! 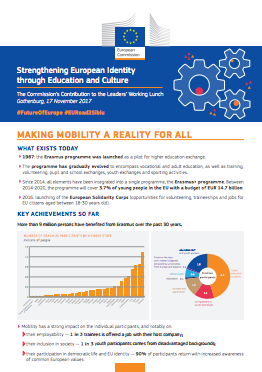 What started as a student mobility programme in 1987, has grown into something bigger and enriched the lives of more than 9 million direct participants, not to mention the indirect impact it has had on so many others. The 30th anniversary of Erasmus coincides with another milestone of European integration: the 60th Anniversary of the Treaty of Rome, which promotes an ever-closer union within Europe. Both anniversaries celebrate a common goal: uniting European people. Throughout 2017, more than 750,000 people took part in over 1,900 events in 44 countries to celebrate and discuss the future of Erasmus+. 65,000 articles on the programme were published and shared over two million times on social media, reaching over 90 million people. The Erasmus+ mobile app launched in June 2017 has already been downloaded more than 22,000 times. A collection of testimonies was published to showcase how Erasmus has been a life-changer for its beneficiaries. The European Commission set up a collaboration platform in which former Erasmus+ participants to come up with a number of concrete proposals on the future of the programme. 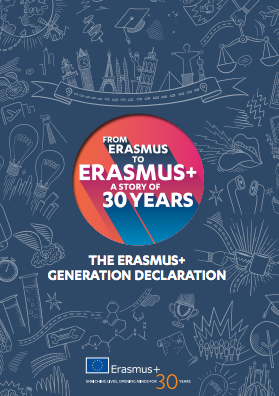 The Erasmus+ Generation Declaration on the future of Erasmus+ has been sent to EU leaders in Brussels. In Gothenburg, President Juncker invited the EU leaders to double the number of young people in the EU participating in Erasmus+ by 2025, which will require a budget of €29.4 billion for the period 2021-2027. Although we welcome such a plea, Eurodesk together with the ErasmusX10 coalition partners, calls for ten times increase of the programme for 2021. Eurodesk took an active part in the promotion of the 30th Anniversary of Erasmus by participating in the EU stakeholders’ meeting, sharing information about the campaign, by cooperating with other stakeholders, especially National Agencies for Youth, and by organising promotional events. Eurodesk Brussels Link was also actively present at the closing of the campaign celebrating the 30th anniversary of the Erasmus programme that took place on 30 November in Brussels. 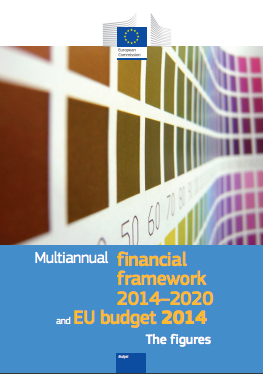 The Multiannual Financial Framework (MFF) defines the EU's long-term spending priorities in line with the agreed political priorities and sets annual maximum amounts to be spent on each. It stretches over several years to ensure sound and responsible financial planning and management. The current multiannual financial framework (MFF) for the years 2014-2020 was agreed in 2013 against the background of the financial and economic crisis and strained public finances in many Member States. Consequently, the MFF placed a strong emphasis on investing in areas of EU value-added to boost jobs and growth. The policy priorities of the MFF are implemented through a wide range of programmes and funds which provide financial support to hundreds of thousands of beneficiaries such as farmers, students, scientists, NGOs, businesses, towns, regions and many others. Some of these programmes benefit directly young people such as Erasmus+, the Youth Employment Initiative and the Europe for Citizens programme. The Member States have started discussing the priorities for the next generation of EU programmes within the MFF for the years 2021-2018. Based on implementation to date, the European Commission has identified a number of successful programmes and instruments which it proposes to reinforce with additional financial means. This includes in particular the European Fund for Strategic Investments as well as Horizon 2020, the connecting Europe Facility, Erasmus+, COSME and the Youth Employment Initiative. Eurodesk, in partnership with its main partners follows up the policy processes in defining the future priorities of the MFF in the youth field. In particular, we are in regular dialogue with the European Commission on the future of Erasmus+ and of the European Solidarity Corps. We are a member of the ErasmusX10 coalition that is calling for a stronger investment in Erasmus+.